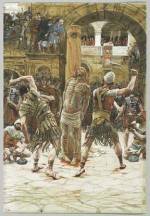 This Sixth Sorrow, referenced in the prayer above, covers events right after Our Lord's death on the Cross. It was also called by St. Alphonsus Liguori, in his book The Glories of Mary, “The Piercing of the Side of Jesus, and His Descent from the Cross”. St. John in his Gospel recorded the incident described above, in which blood and water flowed out of Jesus' side after a solider thrust a lance into it upon His death (John 19:34). This was arguably the most brutal thrust of the sword that Simeon warned Mary would pierce her soul, as we read about in the First Sorrow. Mary revealed to St. Bridget of Sweden some extraordinarily painful details in one of many private revelations which have been approved by the church as having nothing in them contrary to faith and morals. Talk about a heartbreak indeed! And yet, she stayed by Jesus until His body was taken down from the cross soon afterwards. Although there are no specific scriptural references to our Blessed Mother’s having received our Lord’s body, tradition has it that she did indeed hold Him in her arms one last time before He was laid in the tomb. 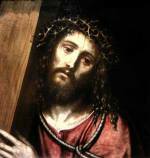 This Sixth Sorrow is also the Thirteenth of the Stations of the Cross. 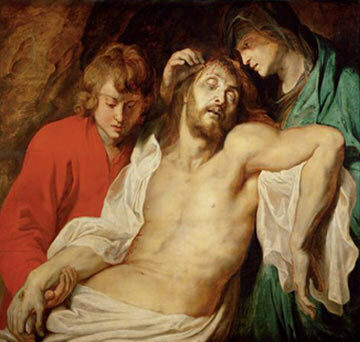 The 17th century Flemish baroque painter Peter Paul Rubens, painted a moving interpretation of that scene called “the Lamentation of Christ by Mary and John”, shown above. 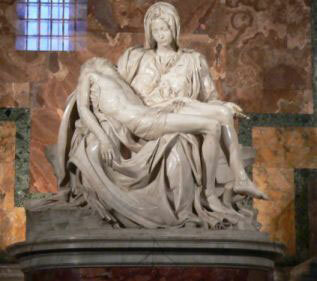 Michelangelo’s famous sculpture Pietahas touched countless souls over the centuries with its own heartrending portrayal of our Blessed Mother’s grief, as shown below. Let us try to console Mary for her sacrifice and sorrows by turning to Jesus in prayer with all our hearts, with love and a sincere contrition for our sins. 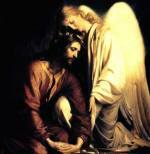 And if you feel afraid to do so, ask our Blessed Mother to assist you.